Sign up now for the BLHA Spring Fling at the BLHA picnic ground! Saturday 4/27, 6-9 pm. Details and registration — right here! Help nourish and preserve Berkeley Lake’s greatest single asset and namesake, our pristine 88-acre lake. 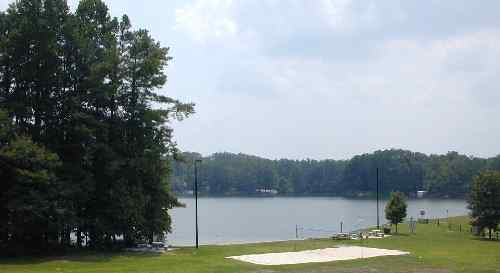 Gain access to the lake and recreational facilities, including the beach and picnic grounds. Support their community’s only environmental conservancy organization. Meet neighbors and make new friends at the BLHA sponsored Spring Fling, Fall Barbecue, Christmas Party, fishing tournaments and more. The cost of membership is $275 annually, due January 1st of each year ($50 late fee applies after March 31st). The dues are collected “for the purpose of providing funds to maintain, preserve, improve and repair the property… and for the benefit of the members.” The vast majority of this money is spent on our lake. New members also have an additional $25 fee. This fee covers the cost of a key fob which will be issued to you and provides you access to the membership areas at the beach and picnic area. What can the BLHA do for you? If you live in Berkeley Lake then join us and see!